There were supposed to be 5 of us but due to some family and work-related problems it ended up just being me and Uncle Fester. For anyone who’s interested we always fly out on a Friday night to get a full 8 days skiing in, flying home the following Saturday night. 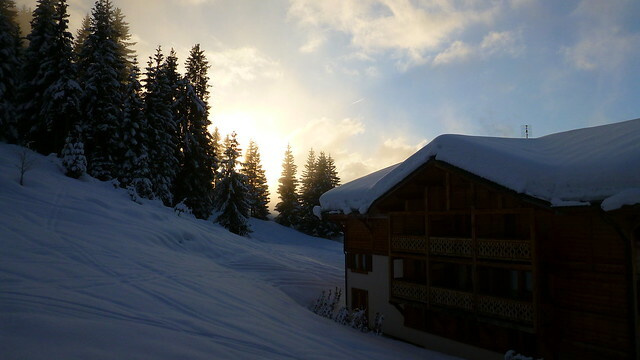 After a trouble-free QuesyJet flight from Bristol to Geneva and a night in a hotel in Annemasse we headed to the resort of Les Gets for our weeks skiing in the Portes du Soleil. 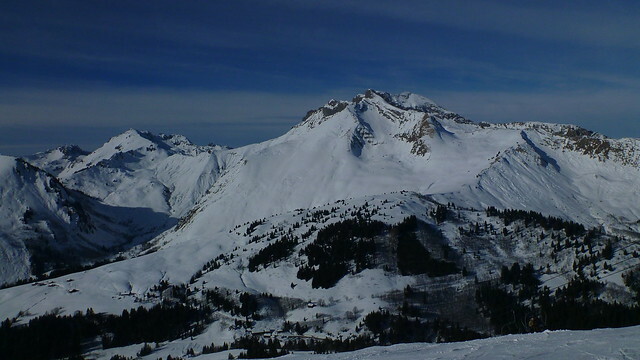 It claims to be the largest ski area in Europe and it certainly does give you a sense of travel as you move around the dozen or so separate resorts. 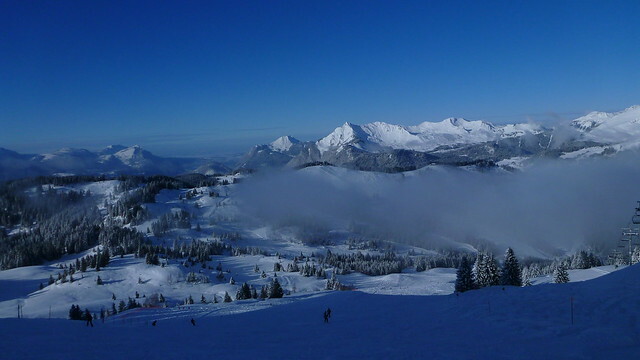 Most of the resorts are very pleasant and the skiing for the most part is superb and uncrowded. 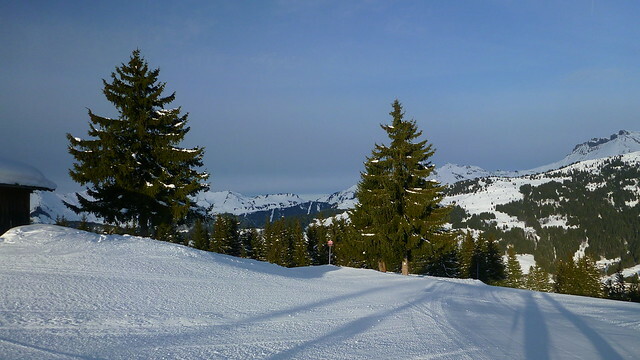 The tree-lined runs are top notch and there is everything from easy beginner slopes to some seriously steep stuff (Avoriaz has “The Wall” reputed to be Europe’s steepest marked run). 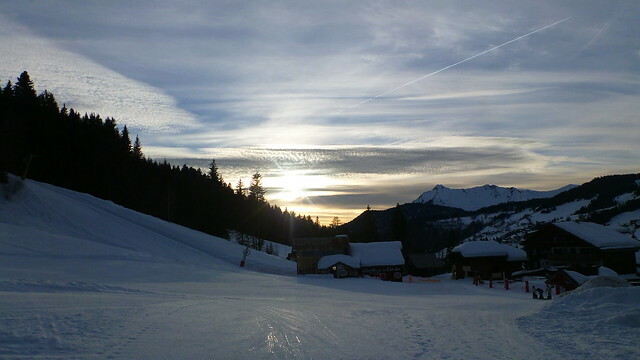 There is a huge choice of slopes but there are several disconnects where you either have to walk, take a bus or do both. 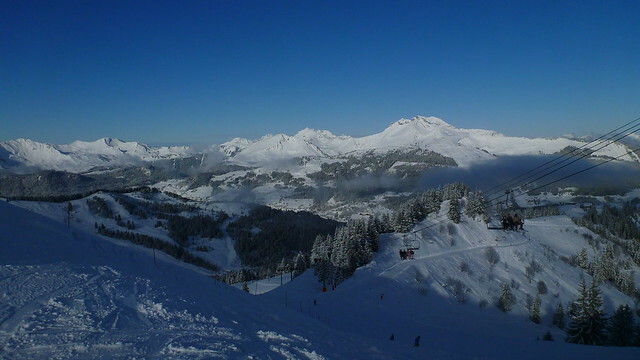 Our other favoured area is the 3 Valleys where there is none of that tomfoolery. 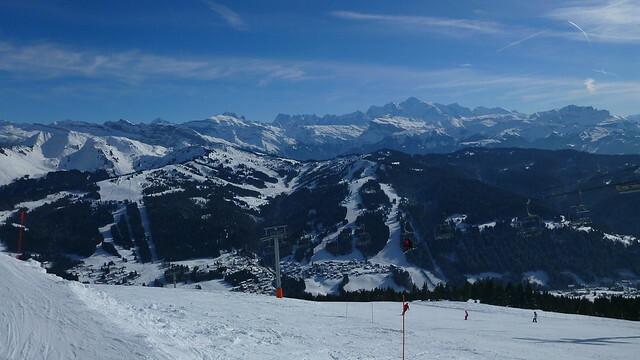 I’d certainly go back to this area again but in all honesty the range of skiing in the 3 valleys and super efficient, well-connected lift system and slopes is far better. 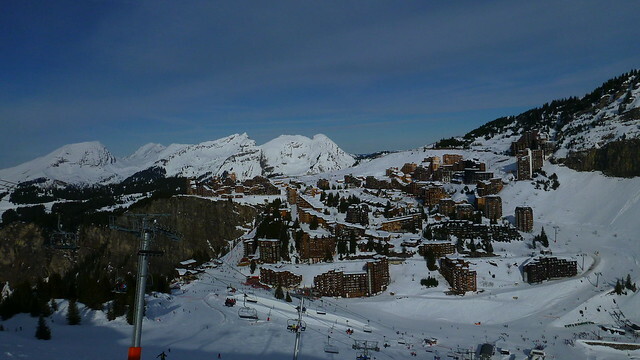 Nice to try somewhere different though and we had a great weeks skiing. 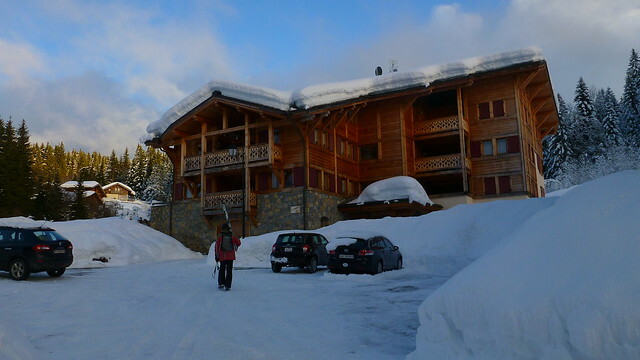 Our apartment was also rather splendid (apart from the slippery access road with its entry barrier halfway up an icy hill!) and particularly spacious as it was sized for the 5 of us! 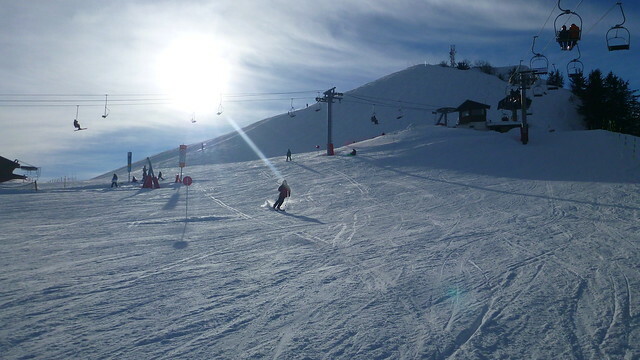 The first couple of days were, clear, sunny and cold on wonderfully groomed pistes, great for getting back into the swing of things and just enjoying the simple pleasures of swooping through the sunshine and adrenaline rush of high-speed activity that I love. 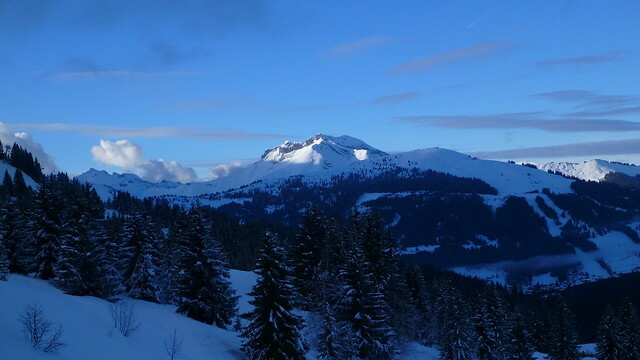 We spent most of the time in the immediate area of Les Gets itself as we just didn’t feel the need to explore. The first video collection I hope captures the mood. After a couple of days we got what we wanted, an overnight dump of fresh powder. 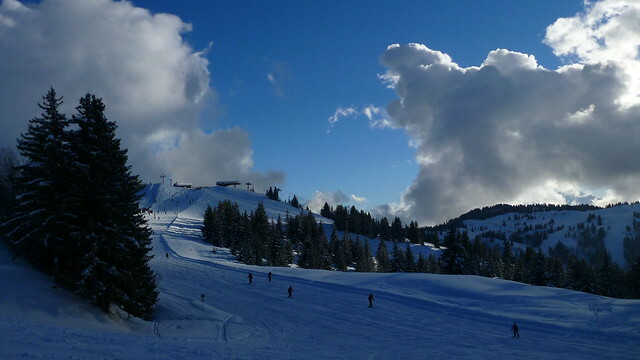 When I was learning to ski I was a speed junkie, enjoying freshly groomed slopes to whizz down at unsafe velocities usually ending in a spectacular fall that became my trademark. 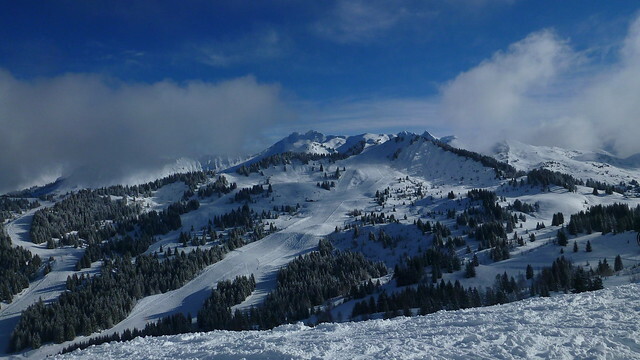 After a lesson on powder skiing I was hooked and nothing beats floating through deep untracked powder after fresh snowfall. 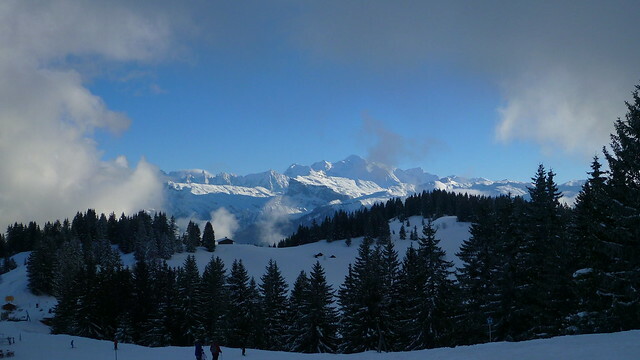 This day was as perfect as it gets, champagne powder and after an hour so the clouds parted to reveal sensational views across the Alps to Mont Blanc. A cracking lunch and a large beer outside in the sunshine at our favourite cafe completed a pretty much perfect morning. 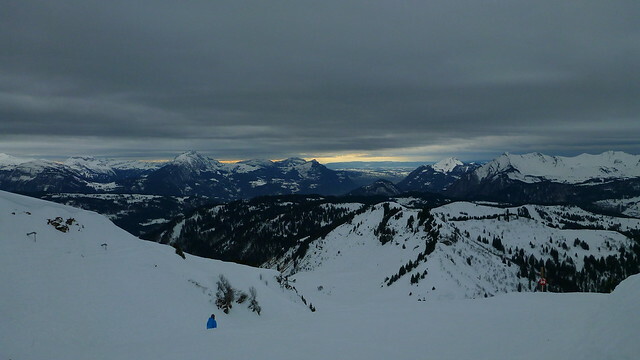 An afternoon cruising around the uncrowded slopes, dropping in and out of the powder finished the day off to a tee. 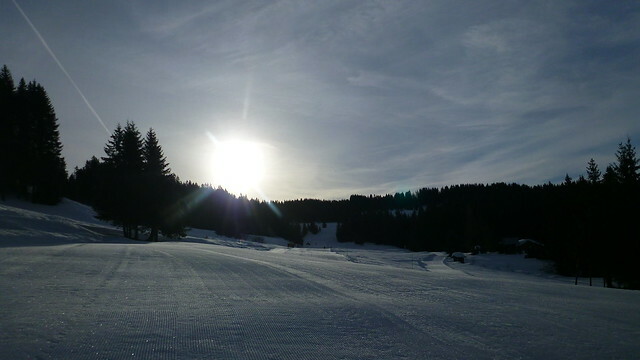 One of my best ever day’s skiing and I hope the next compilation supports that elation I felt when I got back to the flat. To say we had all kinds of weather during the week is an understatement. 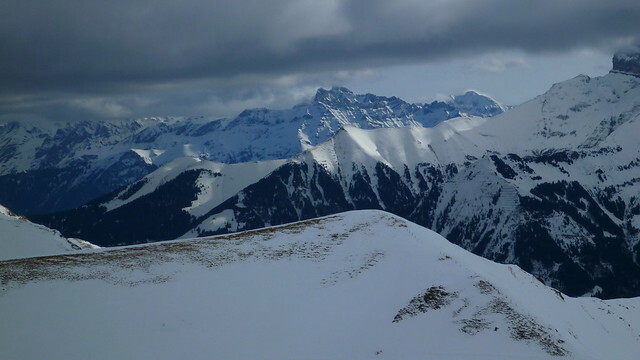 After a couple of days of cold clear weather and a day of fresh powder we had what every skiier dreads – rain. The lower slopes turned to mush and it was raining as high as 2000 metres. The video clip below is taken from an afternoon of solo skiing as Uncle Fester took his leave and sensibly spent the afternoon in the flat. I’m far too tight to waste my hard-earned and very expensive lift pass so I stayed out and spent a happy couple of hours getting some alternative shots in the cloud and rain. For the uninitiated these shots were taken from a chest harness rather than from a head-mount hence the lower angle and regular views of hands, poles and skis. Nice thing about a rainy day is that the slopes are deserted so I had the resort pretty much to myself. I did discover on my last run to the flat that what was light fluffy powder the previous day was now porridge causing a rather spectacular face-plant that I managed to capture. The rain also had the rather interesting effect of turning the hard compacted snow on the estate road into watery sheet ice. Very hard to walk on in ski-boots and pretty much impossible in trainers as I found out when I went to do the shopping! What did we get next? Well it rained all night but at some point it stopped the skies cleared and all that heavy wet snow turned to ice. The runs were absolutely rock hard the next day, although the sun was out. Uncle Fester wasn’t at all happy and quickly took his leave of me again. I took off on a solo tour of the area. 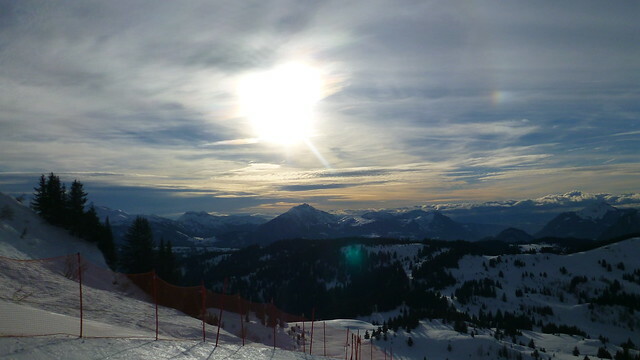 I don’t mind skiing the icy slopes. 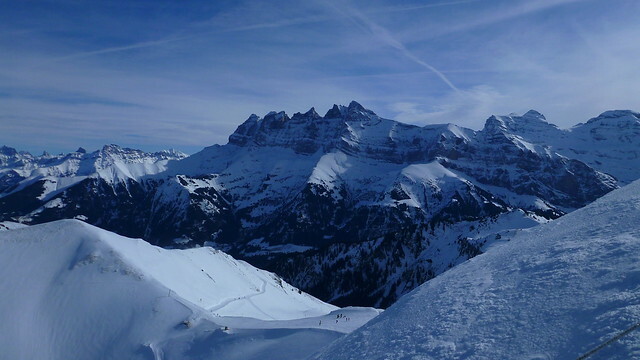 It’s much less taxing on tired legs (skiing in powder and heavy snow is hard work) and the runs are slick and fast, ideal for a speed junkie like me. This final video captures that solo day and I’ve left the sound on the clips so you may be able to hear the sound of the skis carving across the ice. The rain returned the penultimate day although rather than the light drizzle of before it was now a ceaseless downpour that even I wasn’t keen to experience. 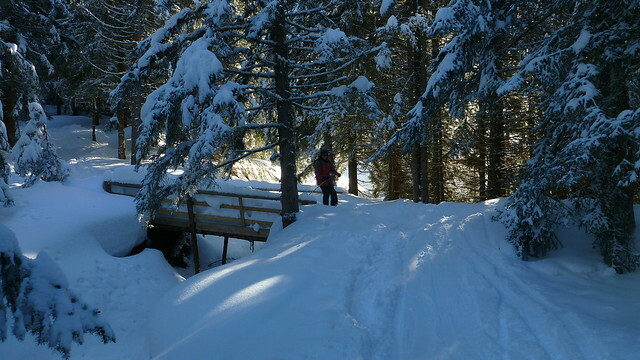 We did venture out after lunch on the assumption that surely it would be snowing higher up. It wasn’t and Uncle Fester left me to it after a couple of runs and went back. I stayed out to make the scientific and clearly obvious discovery that skiing in heavy rain is deeply unpleasant. 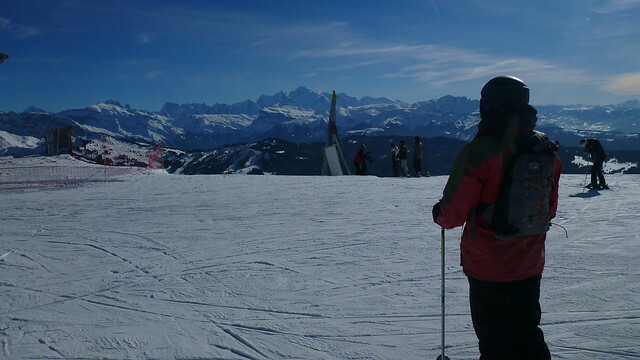 Skiing gear is designed to be windproof and warm, not to keep you dry in a downpour. 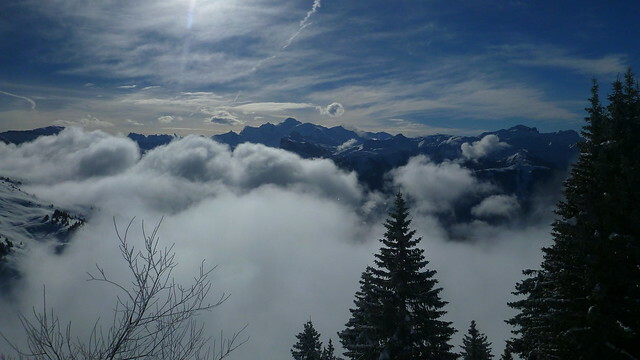 As I sat alone on a chairlift, soaked to the skin and with water dripping out of my gloves I decided that I’d proved my point and been quite foolish enough. Unsurprisingly, no photos or video footage from this little excursion.